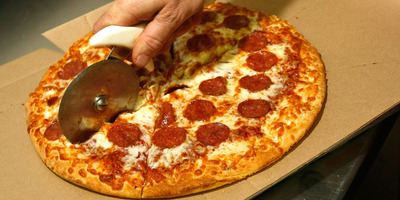 Getty/Alex WongLittle Caesars is giving away free pizza on Monday, April 2. 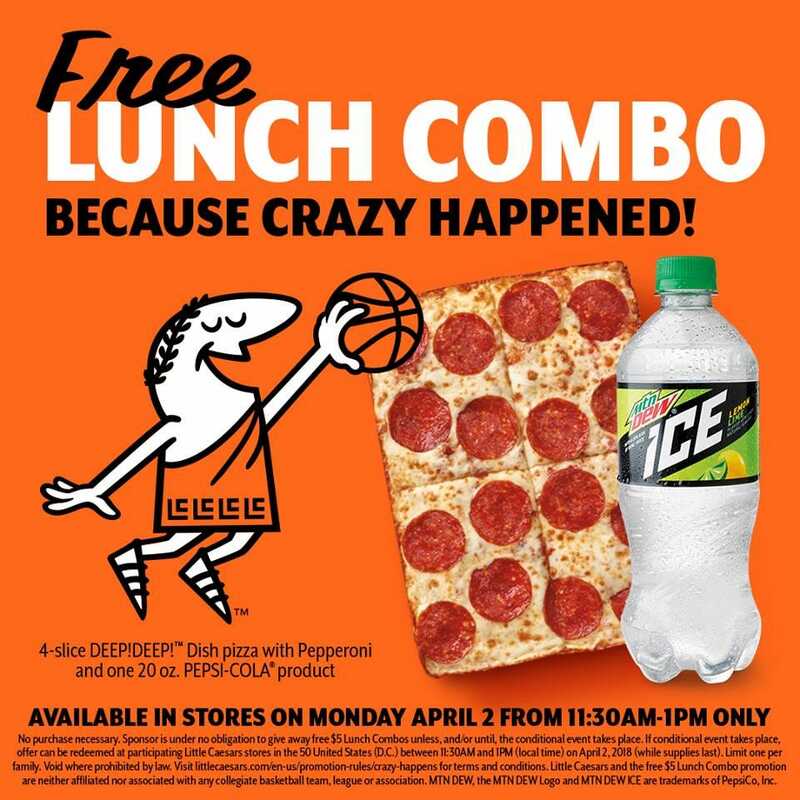 Little Caesars promised a free pizza lunch combo if a No. 16 seed beat a No. 1 seed during the NCAA March Madness tournament. That happened, and now Little Caesars is giving away free pizza. The chain will give away a free pizza combo to anyone who comes in to a Little Caesars location between 11:30 a.m. and 1 p.m. on April 2. “Crazy happened,” and now Little Caesars has to pay up. The pizza chain promised to give away free lunch combos “if crazy happens” and a No. 16 seed team beat a No. 1 seed team in the NCAA March Madness tournament. On March 16, exactly that happened when the University of Maryland Baltimore County beat University of Virginia in a shock upset with a final score of 74-54. 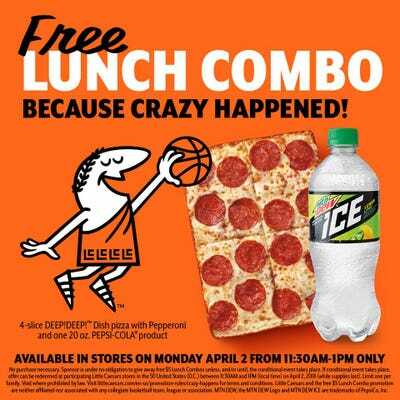 Now Little Caesars will hold up its end of the bargain and will give away free lunch combos, which usually cost $US5. The box contains a “deep deep” personal pizza and a 20-ounce Pepsi product of your choice. The offer will only be available on Monday, April 2, from 11:30 a.m. to 1 p.m., and is limited to one per family while supplies last. Simply being in line during that time will not be enough to claim your free pizza, as the promotion comes to a hard stop at 1 p.m. Still, there are no catches, and no purchase is required, making it a genuine food giveaway, which is rare in fast food. It’s unlikely that Little Caesars was planning on actually dishing out the free pizzas when it announced the promotion, since an upset of this magnitude has never actually occurred since March Madness expanded to include 64 teams. Other chains often participate in similar promotions during high-profile sports games. Taco Bell frequently promises to give away free tacos if certain conditions are met – and it has followed through on more than one occasion. As recently as June 2017, Taco Bell gave away free Doritos Locos Tacos on the road in Cleveland after the Golden State Warriors “stole” Game 3 of the NBA Finals from the Cleveland Cavaliers. Tacos are not as pricey as full pizza combos, however, making Little Caesars’ deal a bit more generous. Check out the full advertisement for the promotion below. A full list of the promotion’s fine print is on Little Caesars’ web page.